This is being written for anyone who is going to be hiking Mt. Kilimanjaro and would like to view the GPS tracks of their hike when they return in order to share images with their friends and family. Bragging rights of your journey! 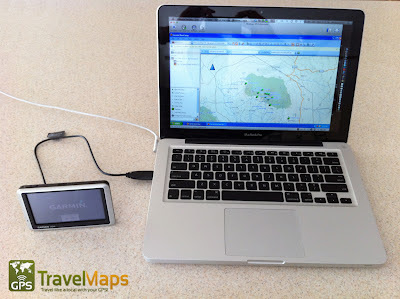 This post can also be used to learn how to view your tracks from any of your GPS journeys. 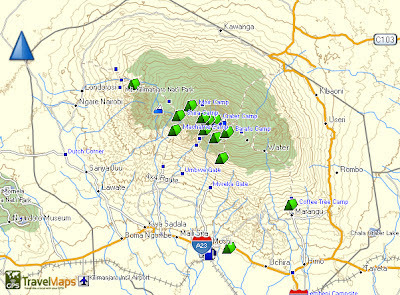 Download Garmin Basecamp - free software used to view your tracks. Open your Garmin user manual to make sure your device supports collecting a trip log. Turn on the trip log. Edit the trip log settings. Make sure you have enough space on your device to hold the trip logs. If you do not have enough space on your device, then we recommend adding an SD card that will hold the trip logs. Make sure the trip logs are being written to the SD card. Again, check your settings in your Garmin GPS device. 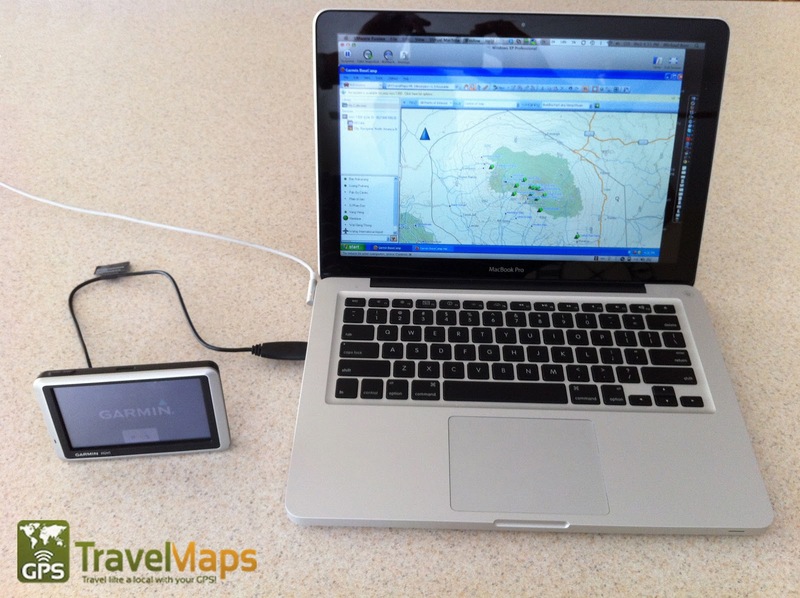 Connect your GPS device via a USB cable to your computer. Click a track on your device. (lower left Basecamp) To select multiple items, hold Ctrl on your keyboard, and click the items. Please now watch the video below. After you have centered your track, now use screen capture on your computer to take an image of your hike. Garmin BaseCamp for PC - View Tracks - click to make larger.